HomeNovel travelWhat Can I Do If My Airline Goes Bust? The big news today is the shocking reveal that WOW air has gone bust. If you have made a booking and are wondering what to do see this advice from Skyscanner. If you booked your flights with a credit card…. Booking flights or a holiday with a credit card is always a good idea as you are more protected should anything go wrong. Credit card companies are equally responsible for losses should an airline go bust or go into insolvency. You should be able to make a claim under Section 75 of the Consumer Credit Act 1974, but this can only be invoked if your booking was over €100. If you booked your trip using your debit card it can be much trickier to make a claim. If however, you had an overdraft at the time, it is considered that you made the purchase “on credit” and should be entitle to a charge back. If you book with an Irish travel agent or tour operator, you should be covered by a compensation scheme run by the Irish aviation authority, the Commission for Aviation Regulation (CAR). This means that if the airline you are flying with goes bust while you are already on holiday, CAR will cover the cost of alternative flights to get you home. In Ireland, airlines don’t have a bonding scheme, nor are Internet bookings covered by the compensation scheme, because when the rules were drawn up in the 1980s there was no Internet and airlines were usually backed up by governments with deep pockets, which they no longer are. The sad reality is that if you booked direct with an airline that has now gone bust, and you are not covered with travel insurance, you will have to find your own way home from your holiday and will not receive compensation. I’ve got travel insurance – am I covered? The reality is that every single insurance company and insurance premium is different. It all depends on who you bought your travel insurance with, how much it cost and what it covers you for. For package holidays, many travel insurance companies will provide you with cover in the unlikely event of an airline going bust. Others will cover expenses for the loss of a holiday, while some may not cover anything. Best to read the small print when buying travel insurance. If you booked a flight-only deal through a travel agent, you may be covered by the CAR (Commission for Aviation Regulation in Ireland) scheme. However, not all flight-only deals are covered. You will be covered if: the agent is CAR-protected or if you received an official CAR receipt upon payment. If you did not book with a CAR-protected agent, or you didn’t get an CAR receipt, just an e-ticket or airline ticket, you may not be able to claim any compensation. Check your CAR certificate to confirm the individual procedures, but to make a claim it usually involves filling out a form or calling the tour operator you booked with. Check out further information on claims on the CAR website. See the EU Passenger Rights to know your rights when flying within the EU for further information. 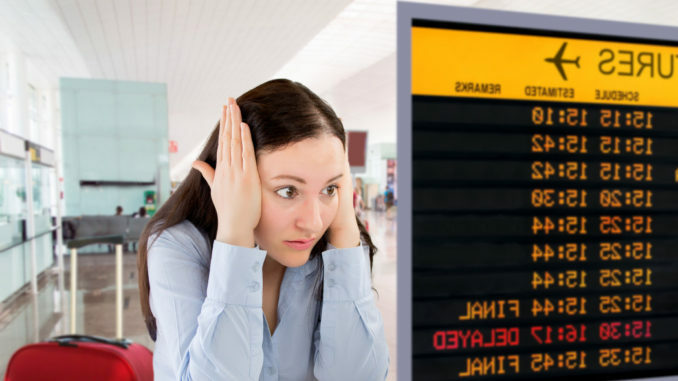 What if the airline simply cancels my flight? If the airline has not gone bust, but instead has cancelled a large number of flights and you are affected, CAR states that one must be offered the choice of an alternative flight at the earliest opportunity or at a later date of your choice subject to the availability of seats or, a full refund of the ticket.